Type Is Art is a public interactive art project created by Silo Design and JR Visuals. Type Is Art has been featured in numerous blogs and publications, such as PRINT Magazine, Rotovision and Buffalo Rising. 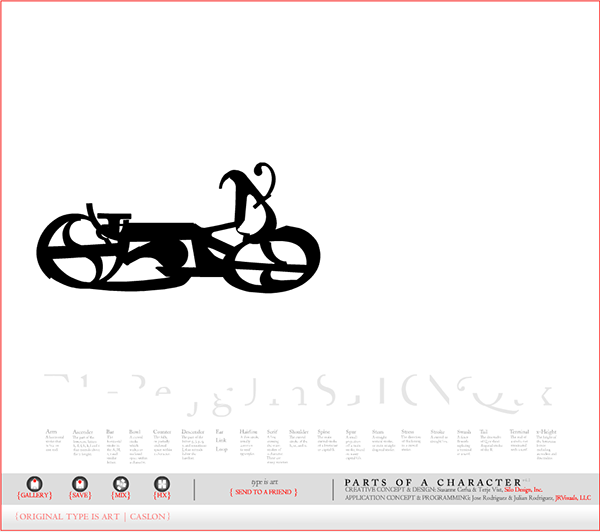 This typographic exploration tool is based on Susanne Cerha's poster 'Parts Of A Character'. To date, Type Is Art has over 15 000 creations. Products featuring Type Is Art creations are available at Susanne's Zazzle shop. 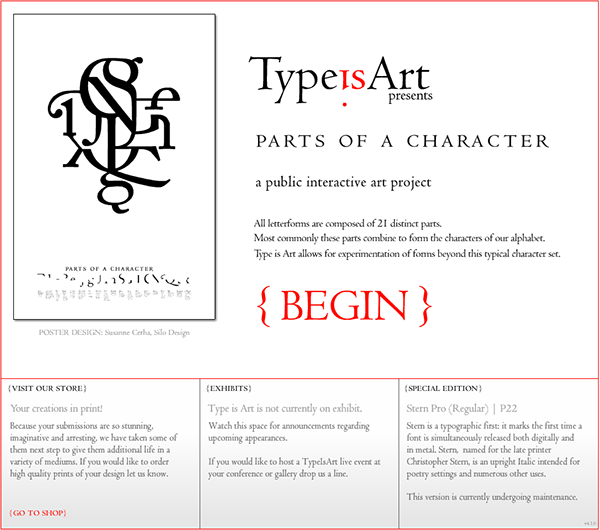 Type Is Art is a public interactive art project. 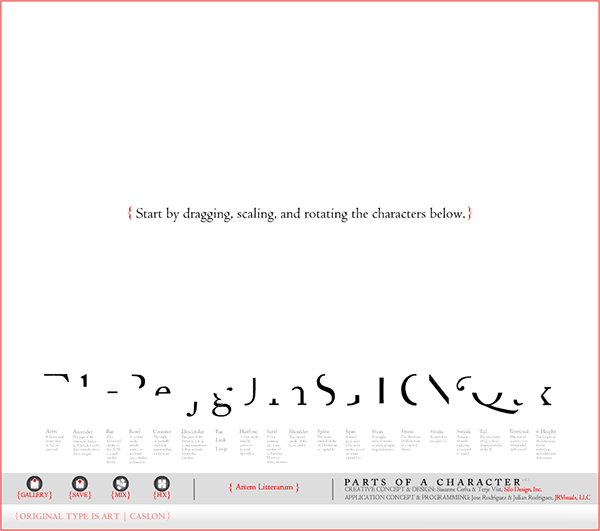 The user is presented with parts of letter forms, and can freely arrange them to create unique visuals.